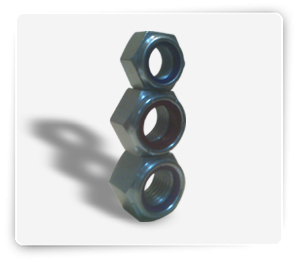 Used for fastening to a bolt when mechanically joining materials together. 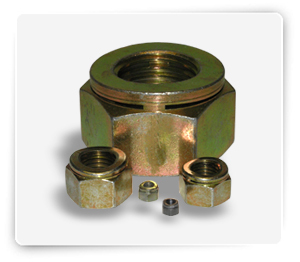 The bolt threads into the nylon material located at the top of the nut. This helps prevent loosening from vibration. Brass An alloy of copper with good corrosion resistance. 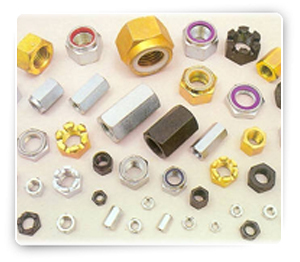 Once common for marine use brass is now used mostly in decorative applications. 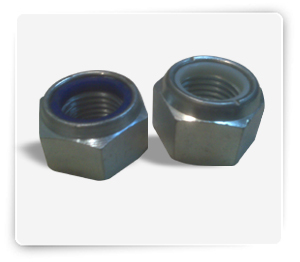 Zinc plated steel Steel is zinc plated for moderate protection against rust. Steel grade 8 Made from tempered medium carbon alloy steel and zinc plated. 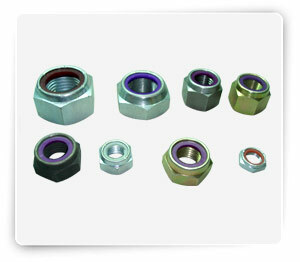 Best for applications where high strength and hardness is required. Stainless steel 18-8 Stainless steel 18-8 is an alloy of steel with high corrosion resistance. Stainless has become the material of choice for exterior and most marine applications. Grade 2 chrome A grade 2 fastener with a bright mirror-like finish providing sharp looks for a variety of applications.